It turns out that medical manufacturers also do hacking once in a while. [JanHenrikH] recently tweeted a photo of an ECG-Trigger-Unit that he’d opened up. Inside he found that the LCD screen was that of a Game Boy Advance (GBA) and the reason he could tell was that the screen’s original case was still there, complete with GAME BOY ADVANCE SP written on it. The Verge had even turned up this US patent from 1997 that has the diagnostic medical device be a cartridge for plugging into a Game Boy. At the time, PCs were frequently used for medical displays but this patent cites issues such as the higher cost of PCs, software installation issues, and crashing. However, they talk about the crashing being due to running word processing and spreadsheet software on the same PC, something not likely to happen if the PC is dedicated to bedside monitoring. But despite all those pros, wouldn’t you feel surprise and alarm when you first glimpse the Game Boy inside the device that’s monitoring your heart? We also have to wonder what licensing these products went through in the countries in which they were used. This particular device was made by German company Medical Imaging Electronics. Game Boy hacks aren’t limited to the medical industry though. Here on Hackaday, we’ve seen them turned into remote controls for flying drones and we’ve seen Game Boy cartridge emulators that use STM32. Finally, if you’re wondering where you saw [Jan Henrik]’s name before, he was one of the two hackers driving the motorized armchair in a photo in our [Jenny List]’s SHACamp 2017 write-up. Our thanks to [geonomad] for the tip! The Classic NES series was a handful of Nintendo Entertainment System games ported to the Game Boy Advance in the early 2000s. What makes them unique is a series of deliberately obtuse programming decisions that make them operate very differently from other titles. These tricks utilize advanced knowledge of the way the Game Boy Advance hardware operates and appear to have been used to make the games difficult to copy or emulate. The games use a variety of techniques to confuse and bamboozle — from “mirrored memory” techniques that exploit addressing anomalies, to putting executable code in video RAM and writing to the audio buffers in unusual manners. Even more confusingly, these techniques only appear to have been used in the Classic NES series of games, and not other Game Boy Advance titles. It’s not obvious why Nintendo went to special effort to protect these ports over other titles; perhaps the techniques used were for other reasons than just an attempt at copy protection. Speculate amongst yourselves in the comments. 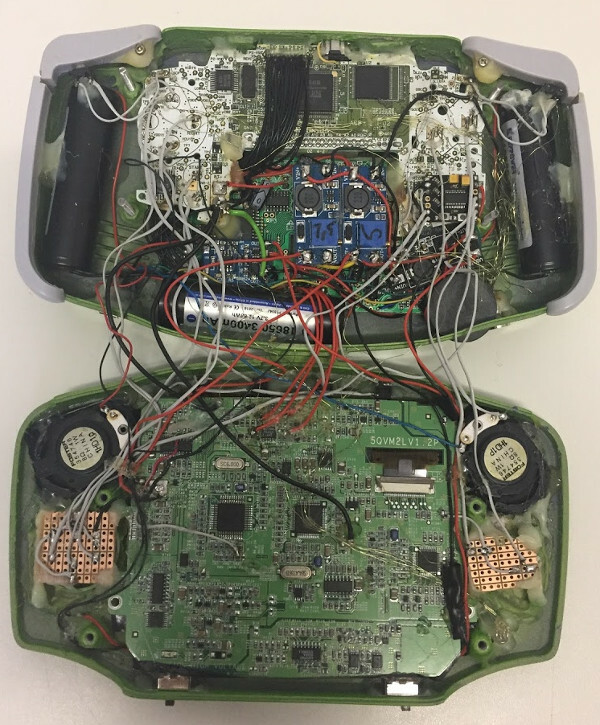 This isn’t the first time we’ve discussed emulation of Nintendo systems — check out this effort to reverse engineer the Sony Pocketstation. [Samuel] is working on one of the most important electronics projects of our generation. He’s building a device for the Game Boy that will allow Pokemon trades between generation II and III. Yes, This means bringing your Charmander from Pokemon Red to your team in Pokemon Ruby, Sapphire, or Emerald. and finally completing the National Dex you’ve been working on for 20 years. Before he gets to designing this system, he first needs to listen in on the Game Boy Link Cable, and that means creating a breakout board. The Game Boy Link Cable – sometimes inaccurately referred to as the Zelda cable – is a special proprietary connector. The design is well documented, but unlike the Wii Nunchuck controller, there’s no readily available breakout board available for this piece of obsolete technology. Together with a his friend [David], [Samuel] loaded up a copy of Eagle and designed a board that will fit on a small piece of copper clad FR4. This design was then sent over to a small CNC mill, The traces were machined away, and a sextet of pins were soldered into the holes. 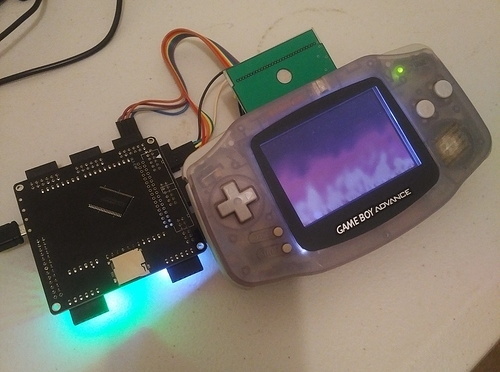 With a breakout board for the Game Boy Link Cable, [Samuel] now has a great platform for peering into the strange and magical world of Pokemon. He’ll be using a Teensy microcontroller for his trading device, and with several similar projects already completed by others around the Internet, the potential for a Gen II to Gen III Pokemon trader is palpable.